2017 was a year that defined a whole new wave of evolution for user experience in the retail and eCommerce industry. AI and automation are true drivers of change in this new era of forward-thinking customer experience, and retailers and online businesses are having to change their approaches to keep up with this standard. Gartner predicts that by 2020 85% of customer interactions will be managed by AI, which doesn’t leave a lot of time for brands to embrace AI and automation, and iron out any challenges associated with the technology. Additionally, Forrester expects that AI will drive faster business decisions in marketing, eCommerce, product management, and other areas of the business by helping close the gap from insights to action. Automated systems and AI, while different inherently, serve similar and complementary functions for eCommerce businesses. With the retail trends for 2018 and beyond leaning more and more toward streamlined user experiences, simple product selection, and easy-to-access customer service, AI and automation can be put in place to better optimize, satisfy, and convert customers. There are two forms of data that retailers have easy access to – behavioral and personal. Shoppers are fueling this accessibility when they use email addresses or social media accounts to log in, communicate across other platforms about the related products or engage with an article that might have some influence on product knowledge. This is the degree of interest to cope with as a business in real-time or at an individual level. 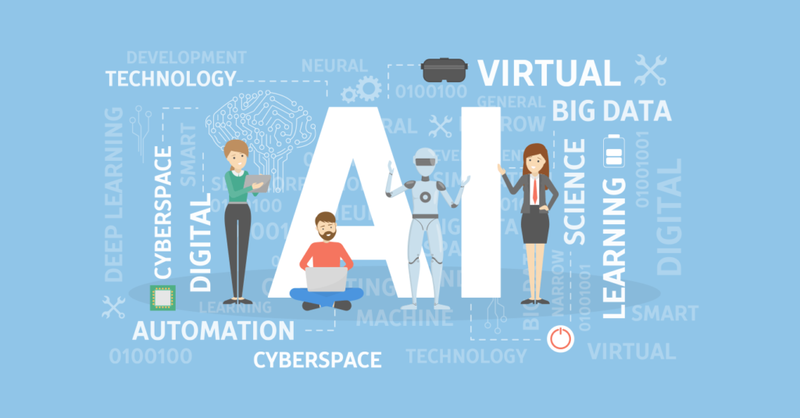 While the use of artificial intelligence itself is increasing in popularity, so too is the use of retail business functions and automations that can mimic AI in person. By mimicking the use of AI in eCommerce pure-plays, brick-and-mortars can implement similar levels of personalization. AI can be used to provide personalized websites, tailored product recommendations, more relevant product search results, as well as immediate and useful customer service. A famous benefit of marketing new products is known in the form of generating fictional feedback to boost their ratings. This contributes to a growing number of reviews on websites which result in a higher overall number of interactions, along with more sales. The term “crowdturfing” has been created due to the high level of reviews that can be made on product profiles. Currently, AI is powering leads, sales assistance, personalization, all the way up to payment services and returns. For example, the platform Conversica is a sales assistant software that allows automation to enhance the sales process by conversing with other internet leads which have already been identified. They already claim an average engagement rate of 35%, due to a customizable software which can also be used to re-engage or cross-sell. The journey to success is being able to guide a customer to the point of purchase. While strategies will vary, automation has features that will assist this guidance. Introducing guided decision trees that are embedded directly in an eCommerce website is a proven automation for improving the journey from discovery to purchase. Allowing customers to quickly navigate and find what they want or need is critical to a positive customer experience. Phoenix Bats is one such company that has integrated these custom product finders, helping them to streamline the product-selection process and cut back on the product or inventory-related support questions. Interactive knowledge bases are the very foundation of support that allows customers to troubleshoot quickly, solve any type of issue, and find the answer to any question. Armed with guided instructions that are compacted into smaller, more digestible pieces, interactive knowledge bases save eCommerce and retail businesses a ton of time, money, and expended energy on support-related tasks. With the trends leaning more and more toward customers wanting self-service support, it’s an ideal solution. As standards are continuing to increase across customer experiences, it’s critical to have a personalized and streamlined error-free experience open to your customers; it’s the best possible way to improve both sales and conversion rates. Nowadays there is a greater demand for businesses to operate at higher standards while also personalizing the experience in a user-friendly way. Decision trees are an essential tool for streamlining the kinds of experiences that customers have previously gotten hung up with – everything from product selection to questions about sizing or pricing. The focus of AI and automation has become a necessity for the retail industry, and eCommerce companies are looking more deeply into expanding their uses of powerful technology in order to have a more competitive edge. These automated and AI-driven processes are making more positive customer experiences, helping to collect more valuable purchasing behavior data, and improving sales and conversion rates. 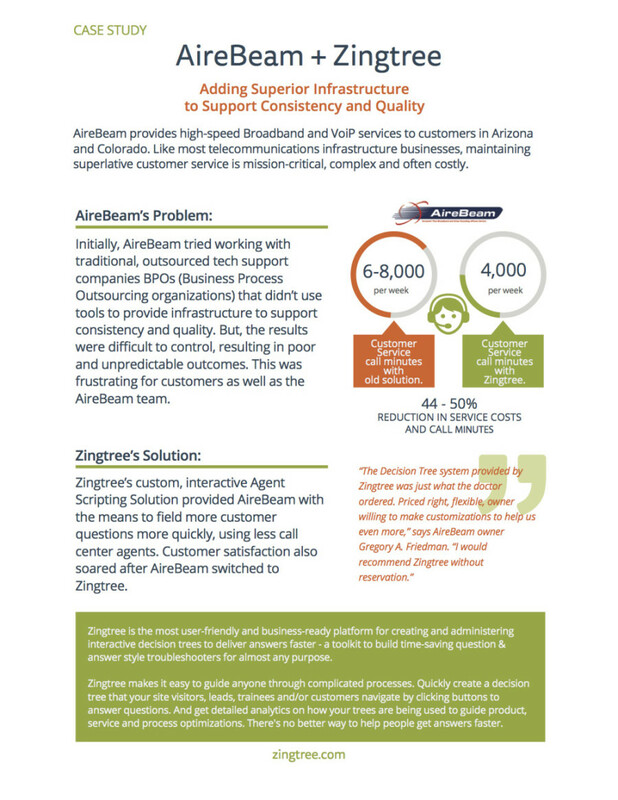 Zingtree‘s decision tree toolkit was designed with both the business and the customer in mind. A platform for creating, customizing, publishing, and managing interactive decision trees, Zingtree is able to deliver answers at the click of a button. Want to see how it works? Explore our Gallery to showcase plenty of examples and inspiration for your business.